What we have to Offer !! The firm of Petrie & Reenstra practices exclusively in the areas of family law, including divorce, children’s issues, parenting plans, time-sharing issues, child support and alimony. We handle cases involving post-judgment issues such as enforcement actions, modifications and relocations. Our extensive experience in dealing with high-asset cases, cases involving high levels of conflict and cases with difficult children’s issues enables us to bring each case to a successful, realistic conclusion. 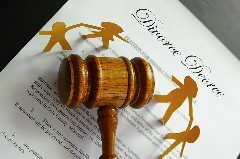 As knowledgeable family law attorneys in Northern New Jersey Area, we can assist you with all of your domestic relations issues. IF YOU HAVE A QUESTION, OR WOULD LIKE MORE INFORMATION, PLEASE LEAVE YOUR NAME AND CONTACT INFORMATION IN THE FORM BELOW.